Archway cross stitch pattern... 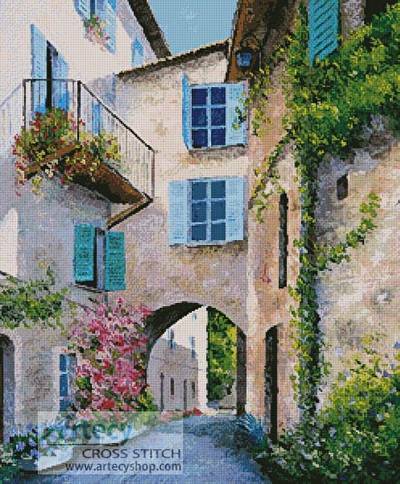 This counted cross stitch pattern of an Archway was created from a painting by Jean-Marc Janiaczyk. Original image copyright of Meiklejohn Graphics Licensing (MGL) www.mgl-uk.com Only full cross stitches are used in this pattern.